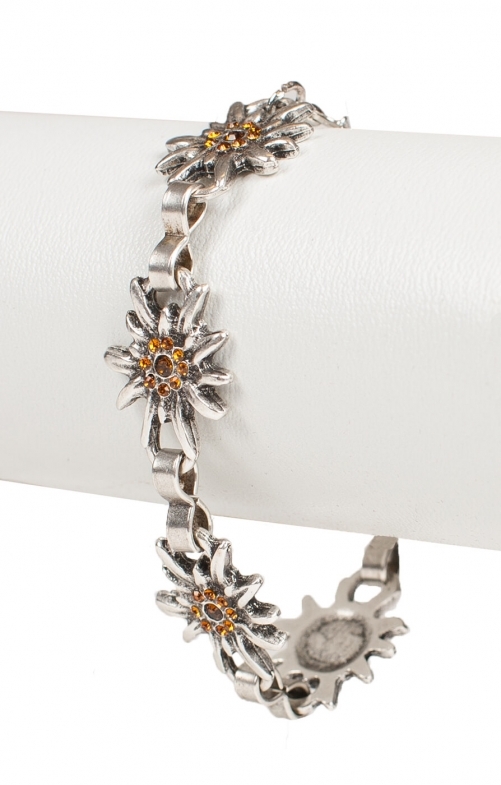 Women’s metal edelweiss bracelet. This striking nickel-free metal bracelet features the edelweiss flower that Bavaria is famous for in a design that is a timeless classic. This ideal accessory can be worn to a traditional German event such as Oktoberfest. The centre of each edelweiss is studded with tiny golden gemstones, while the bracelet can be adjusted to fit wrists from 8 to 25 centimetres in diameter.